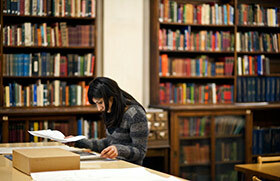 Visit Tower Hamlets Local History Library and Archives to find out information about the borough's historic environment. Collections which are most relevant to this subject of study are listed below. 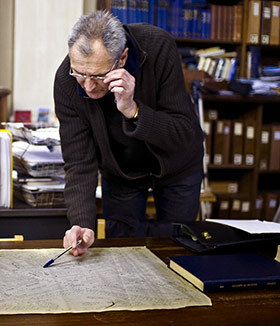 We hold over 2,000 published maps dating from Elizabethan times to the present day. These include copies of ordnance survey maps at a scale of 1:1250 for the Borough of Tower Hamlets from the mid nineteenth century to the late twentieth century, which are sufficiently detailed to show individual buildings clearly. Key large scale maps from earlier dates include: Gascoyne's map of the Parish of Stepney (covering most of present day Tower Hamlets) of 1703, Roque's map of London of 1746, Horwood's map of London of c. 1795 and Faden's of c. 1813. We also have a range of maps for sale. For further information please visit the Local History homepage. We also hold plans of some buildings, particularly ones built by local authorities. See also details of drainage applications and building control records. We hold around 33,000 photographs and illustrations relating to the Borough of Tower Hamlets. These are arranged in two main series: 1. by location - street / road name; 2. by subject. Some photographs date from the nineteenth century but the bulk of the images date from the twentieth century. 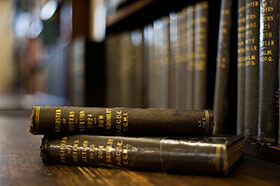 The photographs can be viewed in our reading room and some of our digitised images are also accessible online. Currently, catalogue entries for our photographic collection are being created and inputted onto our electronic catalogue and this will be made publicly accessible online in due course. 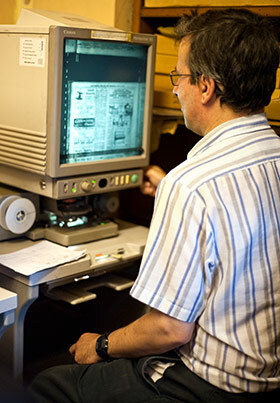 We also offer an in-house and remote reprographics service for users who would like to obtain copies of our photographs, including black and white photocopies and digital scans. For further information, please visit the Local History homepage. We have a collection of over 20,000 books and pamphlets, many of which are not held in other libraries within London or the UK. These include pamphlets produced by local community groups, churches or the council. There are unpublished personal reminisces as well as historical research on different areas. The majority of our published material is from the twentieth century, but ranges in date from the early seventeenth century to the current day. The library materials are organised by a unique classification scheme. We are in the process of creating electronic catalogue records for the collections which will then be made available to users online. In addition, there is a very large collection of over 400 boxes of cuttings arranged according to the same subject classification scheme. Tower Hamlets Local History Library and Archives houses one of the largest collections of archive material of any London borough. The core of this material is the records of Tower Hamlets Council and its predecessor local authorities, some of which dates back to the sixteenth century. These include minutes of council meetings, some of which are indexed. Such records provide information about buildings, open spaces etc provided by the Council and its predecessors. War damage incident files are available for the former boroughs of Poplar and Bethnal Green but not Stepney. 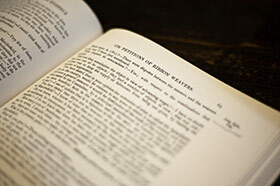 The archives of a growing number of institutions, societies, businesses, places of worship and individuals are also held. 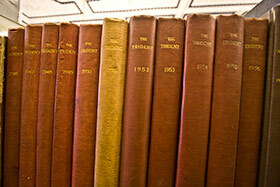 For a summary of these collections please consult the Local History homepage. 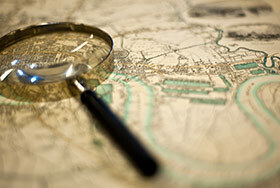 We hold a variety of land tax assessments, rate books, and valuation lists. These typically list owners and / or occupiers of property and the value of the property and can be useful in ascertaining when buildings were first constructed or significantly modified. The coverage of these records for different parts of the borough varies considerably. Thus for Poplar, Bow, Bromley and Bethnal Green there are records, with some gaps, covering the eighteenth and nineteenth centuries and little for the rest of the borough for this period. For the twentieth century there is more uniform coverage across the borough. 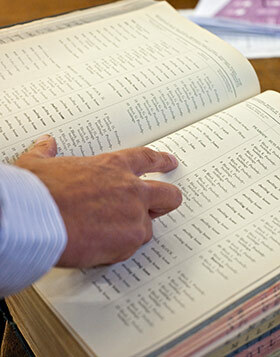 Land tax assessments and rating records are also held at the London Metropolitan Archives. We hold over 8,000 deeds within our archives recording the transfer of properties in the London Borough of Tower Hamlets which can be viewed in our reading room. Some of these deeds are of properties acquired by the London Borough of Tower Hamlets or its predecessors and others have come from private sources. The dates of these documents range from the fourteenth to the twentieth centuries with the majority dating from the nineteenth century. 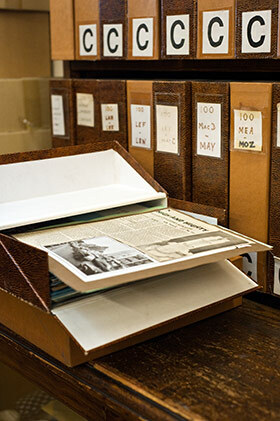 To assist users in accessing this material we have a detailed hard copy card catalogue of the deeds collection, with additional indexes arranged by surname and by location. A small proportion of our deeds have been catalogued electronically and in due course we aim to catalogue the remainder and make this electronic finding aid accessible to the public online. Drainage applications, which often include plans, can be a useful method of establishing the date buildings were constructed or significantly modified. They date from the 1850s to the 1940s, and are available in chronological sequences on microfilm and in an alphabetical, by street name, sequence on microfiche. There are also some original hard copy applications for the former St. George-in-the-East and Limehouse District Board of Works administrative areas. The Council's Building Control section has transferred to the Local History Library and Archives, building control files relating to sites that have been cleared and redeveloped. Recently, large accumulations of files relating to other sites have been transferred and , once processed and catalogued, will be made available to users subject to data protection restrictions.